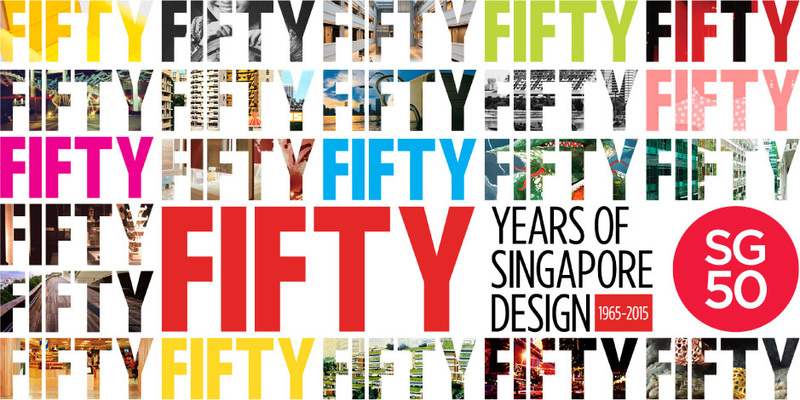 Fifty Years of Singapore Design looks at Singapore's design scene from its early years in the 1960s and its development into a vibrant industry we see today. Made me think of Dubai, with the recently established entities Dubai Design District and Dubai Design & Fashion Council where we've not really seen anything besides PR and events like design fairs, fashion shows and panel talks. There's no actual local mass production when it comes to local design, what we have is still a 'scene' versus an 'industry'. I know things are changing slowly here, and hopefully a few decades from now, we can look back at a history of a locally developed design industry. The collection presents iconic, popular and pivotal designs that have shaped the industry, bringing together for the first time, design works gathered from the fields of Environmental Design, Fashion & Accessories, Product & Industrial Design and Visual Communications in a fifty-year span. Along with designed objects, the showcase includes the stories that reflect the movements, trends and values of each decade. Fifty years is a compact time, but these are watershed years that have seen the design industry emerge into a creative powerhouse and a key driver of a nation’s innovation-based economy. Through the curatorial journey which included in-depth interviews and collaborations with designers, this exhibition is not merely a timeline of triumphs and milestones of Singapore’s design scene; but also a collection of personal accounts, a self-portrait of a nation’s creative sensibility and attitude set against a backdrop of changing aesthetic, and economic and socio-political climate. The exhibition is split into the following periods with categories that include Visual Communications, Product & Industrial Design, Fashion & Accessories, Environmental Design. Below are some photos I took (the animated images are from the Fifty Years of Singapore Design website). Singapore’s early years after independence were a period of nation building. The creative efforts of this period were focused on domestic needs such as providing housing for the population, establishing civic institutions, constructing public buildings, and setting up the infrastructure for a new industrialised economy. The late 1970s and the early 1980s saw Singapore emerge as an economic powerhouse. On the back of the nation’s economic success the local design industry began to take shape. As air travel became popular, Singapore became tourism-oriented and started to develop its recreational landscape. The economy was on the upswing with the nation’s growth creating corresponding demand for new lifestyle choices, leading to the flourish of the arts, cultural, and fashion sectors. This period of growth saw local design houses and architecture practices mushroom. It was an innovative time when the creative impulse was charged with a sense of possibility. The late 1980s saw the Singapore economy rebound from the 1985 economic recession to assume an outward orientation and open itself to the world in trade and investment. 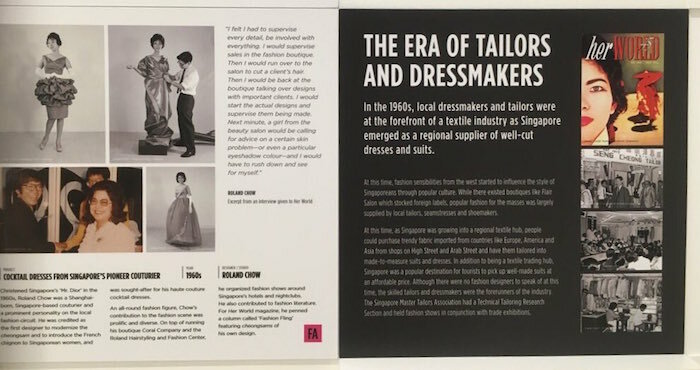 The Singapore Trade Development Board promoted design to businesses as a tool to create new products and brands with strong market competitiveness. Efforts were made to raise design consciousness and design was beginning to be recognized as a professional practice. This was also a time when several independent design associations were formed. Such formations strengthened the professional identity of designers. Singapore was modernizing itself to world class standards. The advent of the home computer and the cell phone had already signalled the dawn of the digital information age. Local designers adopted new technology and new modes of working. The sense of progressiveness and openness can be observed in the built environment too. Singapore welcomed foreign architects and global ideas that would in this decade, shape it into a modern city. With increasing appreciation for designed spaces, a local interior design market also emerged at this time. The turn of the millennium saw Singapore designers step into the international arena to make a name for themselves overseas. Across all fields, the industry was in full swing: product designers were setting up their own brands, fashion designers were showing and exporting overseas, photographers and visual communication designers were invited to work with international brand names. With the achievement of international recognition came too, a sense of local design identity and a confidence to explore. On home grounds, a new generation of local architects started to reinterpret traditional typologies. The establishment of the DesignSingapore Council to develop the design sector to help enhance the nation’s value proposition and contribute to the country’s economic growth and quality of life, was yet another turning point in Singapore’s creative industry landscape. With the advent of Web 2.0, designers are working in an even more fluid, borderless creative environment. This is a time of speed and connection, and the scene abounds with collaborations across disciplines. Entrepreneurship and self-initiated projects break new ground; designers are constantly experimenting and innovating to make things better, faster or simply, more delightful. In the hive of activity, there is a movement of ‘looking back’. This is set against global trends such as the return of craft; and in a more local context, a ‘return to roots’. The trend is not just about nostalgia, but an active reinvention with an interest to preserve and conserve what has been done in the past. The Singapore design scene has taken on a spirit, a character, and an energy as it looks towards the future. All photos © Hind Mezaina unless stated otherwise.